Those looking to help others and work in the medical field may want to consider working in New Jersey as a licensed practical nurse. According to the New Jersey Board of Nursing, more than 15,000 LPNs are employed in the state, which equates to 17 percent of the state’s nursing workforce. New Jersey LPNs work in a wide range of healthcare facilities throughout the state, from hospitals to nursing facilities and medical offices to home healthcare. Find out more about this career field, including LPN programs, licensure requirements, and how much LPNs earn in NJ. Students of LPN programs in New Jersey learn critical concepts and gain hands-on experience to prepare them for the fast-paced nursing world. Finding the best program is an important step of the process and obtaining a diploma, certificate, or associate degree from an accredited, state-approved school is mandatory for licensure. Find out – and compare – what New Jersey schools have to offer using the search tool below. The New Jersey Board of Nursing regulates the nursing profession. From granting licenses to approving education programs, the main goal of the board is to protect the public. Discover New Jersey’s educational requirements, what is required to become an LPN, and the renewal process. LPNs must graduate from a state-approved practical nursing program. The board requires applicants to have a CPR card. Request that nursing school send an Official Letter of Program Completion directly to the Board. Out-of-state students should arrange to have their official transcripts sent. In order to be approved for license renewal, LPNs must complete 30 contact hours of continuing professional education by an approved provider. Licenses are renewed every two years and the Board charges a $65 fee. With the average salary for New Jersey LPNs being over $10,000 more than the national average in 2016, practical nurses do well in metropolitan areas. This section breaks down the salary information for LPNs and which areas pay well. The employment opportunities available to LPNs in New Jersey depend on where they choose to work. Find out what types of health care facilities offer the most job opportunities for LPNs and the projected employment growth. The New Jersey Board of Nursing provides information on continuing education requirements for nurses. Outlines the state’s expectations for LPNs as they make decisions about patient care. This charitable affiliate of the New Jersey State Nurses Association offers scholarships to students pursuing LPN and RN education in the state. In addition, it also provides research grants to those conducting studies that impact the nursing profession. This site includes NCLEX-PN results for schools around the state. The data goes back four years. The Board is responsible for regulating the practice of nursing in New Jersey. This entails licensing nurses, ensuring that degree and continuing education programs meet the state’s standards, and prosecuting claims against nurses who violate the expected responsibilities. LPNs in New Jersey have many legal responsibilities that they must follow as they practice. This page outlines these responsibilities and discusses the standard of care that is expected from practical nurses. This group is dedicated to providing quality education programs to nurses around the state, allowing them to become prepared for the various issues they’ll face as they practice. In addition, the organization provides scholarships for nursing students. In its efforts to advance the nursing profession in New Jersey, this association works to affect policies that impact the field, provides nursing continuing education, and offers industry news to its members. 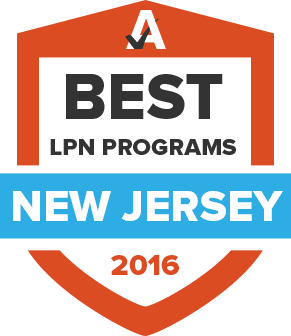 Provided by the New Jersey League for Nursing, this is a list of LPN programs that have been approved by the state. This page includes advice to prospective nurses going through the licensing process from the New Jersey Division of Consumer Affairs.